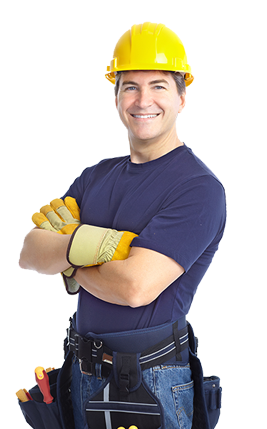 We provide contracting services to homeowners, builders, property management companies and all else who want the absolute best when it comes to damage restoration. We provides services to Palm Beach, Martin and St. Lucie counties, including the cities of West Palm Beach, Palm Beach Gardens, Jupiter, Hobe Sound, Stuart and Jensen Beach. One Call has served the South Florida area since 2005. We believe our fast, friendly service has allowed us to thrive in the residential, commercial and light industrial property damage remediation markets. Please contact us if you have any questions. Call us today if you are interested in receiving a free quote from us on your remediation, reconstruction, or restoration needs. Whether you are a Treasure Coast area property manager, commercial general contractor, or home owner, One Call will provide quality work, timely service, and reasonable pricing. We pride ourselves on the high standards we have established and maintained as a Treasure Coast area contractor. We will gladly provide references if you are considering us for your next damage restoration project. We work directly with your insurance to come to a timely resolution. Being a leading property service company in Martin County we offer a variety of contracting services: General contracting as construction contractors, remodeling, disaster mitigation, mold remediation, roofing and waterproofing, construction management for residential & commercial properties in South and Central Florida. All companies say they value their clients. We don't just say it. . . we live it! For us, clients are the most important part of our business. Satisfied, repeat clients are a measure of success. Without clients we cease to be. Locations include, but are not limited to, Palm Beach, Martin, St.Lucie County, Indian River, Volusia, and Flagler County including the cities of West Palm Beach, Palm Beach Gardens, Jupiter, Jupiter Island, Hobe Sound, Stuart, Jensen Beach, Port St. Lucie, Fort Pierce, Vero Beach, Sabastian, and Palm Bay. In fact, over 80% of our customers are repeat customers for all construction remodels, general contracting, building remodeling, additions, bath remodel, kitchen remodel and commercial roofing. This is the true measure of our team - a team with the proven strength and spirit to take challenges head on, get the tough jobs done, the buildings built and our customers genuinely satisfied.